Leonard Maltin has been reviewing movies for just about as long as I can remember. The man is nothing short of a staple of the industry and, oddly, looks exactly the same as I remember him going back to when I was a kid. Kinda makes me think that Maltin might be some kind of warlock and/or vampire... but I digress. Vampires aside (though you'll find some in the book), Leonard Maltin's 2013 Movie Guide The Modern Era, is just about as definitive a tome as you can get for movies from the subtitled modern era. Just released courtesy of Penguin books, the Movie Guide takes a look back through the recent history of the art form to assemble as complete a picture as can be made of movies from the mid-sixties through the present day. Maltin takes a look at not only the theatrical releases from the modern era, but also DVD's- and there are a whopping 400 plus new entry's not found in last year's edition to top things off. In fact, to say that this a chunky book is probably an understatement. There are literally thousands of movies listed in here. And we're not just talking about name/year of release/rating either. The Movie Guide also gets into personal opinion from the author and just why he gave the 'stars' rating he did for each film. I can't say I agree with all of his rationale and reasoning (The Dark Knight gets two stars because it's too realistic and the Joker is too insane? Really? ), but that's part of the fun of a book like this. Flip through and find something that you haven't seen before- take note of it, then check it out and make up your own decision about it. It's a lot of fun especially for a movie fan. There are also notes on film listings about sequels (so you can continue the story) as well as little factoids about interesting points from movie history that you may not be aware of. For instance, did you know that the Alien series owes quite a bit to 1958's It! The Terror from Beyond Space ? I'm a pretty big Aliens fan, and I didn't- in fact, I'd never even heard of the Jerome Bixby penned classic before seeing the listing in this book. As you look through the Movie Guide, you'll come across all kinds of stuff like that. Aside from just being a solid addition to any movie fan's library, the Guide makes for a really fun time on a rainy (or just plain lazy) afternoon. I enjoyed thumbing through -accompanied by a cup of coffee- noting all the films that I just have to check out (or in some cases, re-watch). 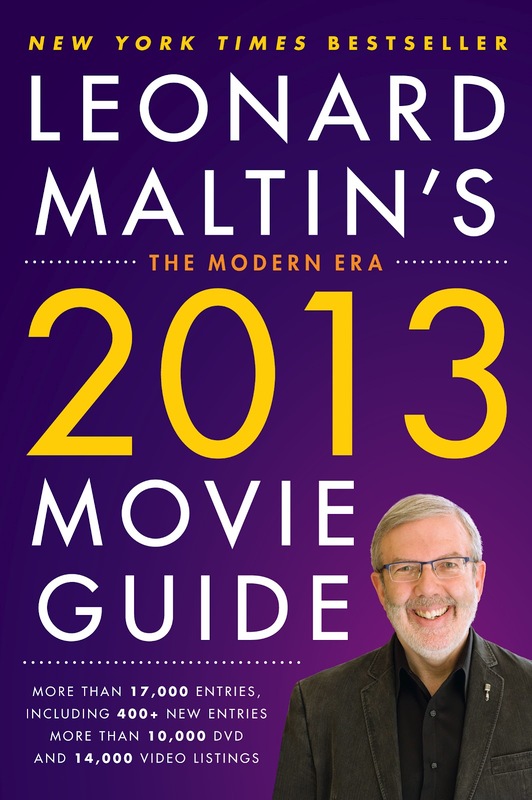 I greatly enjoyed checking out Leonard Maltin's 2013 Movie Guide The Modern Era. It's one of those books that you'll use about a hundred times without even realizing. Between the movie listings themselves (the meat and potatoes of the volume), the listings of both mail-order and at-home video sources (online), and the various glossaries of stars and terms, my copy is already quite well 'broken in' and dog-eared. Great stuff and a worthy purchase (or gift for that matter) for just about anybody. Looking forward to the next edition!